Steven P. Kfoury, Jr. is an associate at Iannella & Mummolo who specializes in representing employees who have sustained severe industrial injuries or illnesses at all stages of workers' compensation proceedings. Additionally, Attorney Kfoury is a member of the litigation team at Iannella & Mummolo which represents individuals in a variety of tort cases throughout the courts of the Commonwealth. He also advocates on behalf of Social Security Disability claimants throughout New England. He joined Iannella & Mummolo in 2011 as a workers’ compensation paralegal. The experience of helping disabled workers receive much-needed benefits bolstered his passion to pursue a legal career. 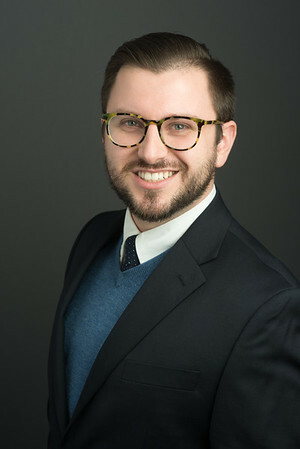 During law school, Attorney Kfoury also gained invaluable experience in the field of tort litigation as a law clerk for both Iannella & Mummolo and a reputable defense firm, where he was exposed to the perspectives and strategies of both plaintiffs and defendants. Attorney Kfoury received his bachelor’s degree from Boston College in 2011 and his Juris Doctor from Suffolk University Law School in 2016. He was admitted to the Massachusetts Bar in 2016 and to the United States District Court, for the District of Massachusetts, in 2017.